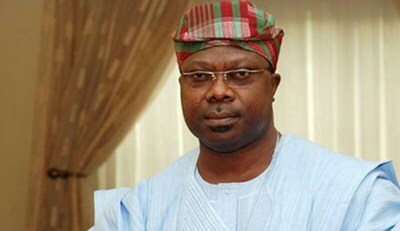 After 19 days in detention, the Economic and Financial Crimes Commission released a former Deputy Governor of Osun State, Senator Iyiola Omisore. It was learnt that Omisore was released on bail on Friday by the commission after meeting his bail conditions, Punch reports. The former deputy governor, who was declared wanted by the EFCC in May, was arrested on July 3, 2016 after N1.310bn was traced to the accounts of five companies allegedly belonging to him. The money was said to be part of the N4.7bn allegedly disbursed by a former Minister of State for Defence, Senator Musiliu Obanikoro and his two sons, Gbolahan and Babajide. The N4.7bn was said to have emanated from the account of the Office of the National Security Adviser in 2014 and then transferred to the Diamond Bank account of Sylvan McNamara, a company in which Obanikoro’s sons are the signatories to its bank account. Omisore allegedly received the funds in four tranches from Sylvan McNamara between July and August 2014, a few weeks before the Osun State governorship election which he lost. A document detailing the transaction showed that the money was paid into accounts of three companies allegedly belonging to Omisore. 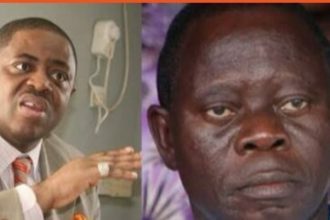 Meanwhile, it was learnt that the anti-graft agency will soon charge Omisore alongside Mr. Abiodun Agbele, an aide to Governor Ayodele Fayose of Ekiti State. Agbele is alleged to have received N1.219bn from Obanikoro on behalf of Fayose during the build-up to the June 21, 2014 governorship election in Ekiti State.